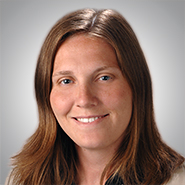 CHICAGO, IL — Quarles & Brady LLP is pleased to announce that Nicole A. Bashor, a patent attorney at the firm, has been named to the Best LGBT Lawyers Under 40. The honorees were selected by the National LGBT Bar Association. The Best LGBT Lawyers Under 40 List recognizes 40 LGBT legal professionals who are practicing lawyers, law professors, corporate counsel, and members of the judiciary or politicians under age 40 who have distinguished themselves in their field and have demonstrated a profound commitment to LGBT equality. Each individual will be recognized at the Lavender Law Conference & Career Fair on Aug. 23 in New York City. Bashor practices in Quarles & Brady LLP’s Intellectual Property group. Her practice focuses on assisting clients in all stages of business development to implement long-term intellectual property strategies that integrate the procurement and enforcement of intellectual property rights. She regularly handles all aspects of IP work involving patents and trademarks both nationally and internationally. Nicole graduated with a law degree from John Marshall Law School and earned her undergraduate degree in chemical engineering from the University of Pittsburgh.